Wireless outdoor lighting is reliable to use anywhere you wish. You will have full control of your outdoor lighting right from the palm of your hand. We will also look at outdoor lighting that doesn't require any wires whatsoever, making for an easy installation project that anyone can do. We've seen wireless technologies get better and better through the years which include wireless internet, WiFi, and high speed data plans. Along with these services we've seen a huge spike in the popularity of smart phones. 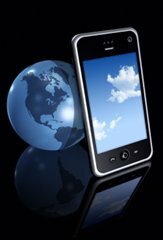 These smart phones enable anyone to access the internet at any time giving them access to powerful satellites via their portable device. What that means for wireless outdoor lighting technology is that you'll be able to control your outdoor lighting remotely using a smartphone from virtually any place on earth. Use wireless lighting technology to turn your outdoor lights on during your commute home. Your remote control outdoor lighting can be used while you're away to thwart off potential thieves from targeting your home. By having the ability to control your lights while you're away can create the element of surprise even when you're not home. Your lights can serve as a form of outdoor security lighting, keeping everyone guessing while you're away. Staking thieves will be thrown off by your outdoor lights. Stalking thieves will never feel 100% confident that nobody is home, since your outdoor lights are not set to turn on at a pre-determined time as with homes equipped with a timer. If you would love to have a beautifully lit outdoor landscape or patio but dread having to figure out how to install such lights, your in luck. You don't have to be a lighting designer or licensed electrician to have a beautifully lit outdoor landscape. Solar outdoor lighting demands nothing more than to simply figure out where you want to position your outdoor lights and place them there. No wires, no electricity, and no hassle when installing your lighting. Simply plan your layout and set out some time for installation. You too can instantly have outdoor lighting without ever having to wire anything up.